The Story Collider is partnering with Springer Nature for this show in conjunction with the American Society of Criminology Meeting. Join us for five stories about the science of crime! Register below to attend this show for FREE! Michael Perlin is a Professor of Law Emeritus at New York Law School (NYLS), founding director of NYLS’s Online Mental Disability Law Program, and founding director of NYLS’s International Mental Disability Law Reform Project in its Justice Action Center. He is also the co-founder of Mental Disability Law and Policy Associates. His hobbies include fishing, birding, playing the clarinet, opera, and the music of Bob Dylan. Alex Piquero, PhD is the Ashbel Smith Professor of Criminology and Associate Dean for Graduate Programs in the School of Economic, Political, and Policy Sciences at the University of Texas at Dallas and Adjunct Professor with the Key Centre for Ethics, Law, Justice, and Governance at Griffith University. 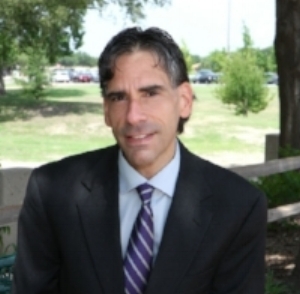 Dr. Piquero has a wide array of interests outside of his academic career, including being an avid sports fan—especially of the Dallas Cowboys, music aficionado, crossword puzzle solver, and accompanier to his wife, the other Dr. (Nicky) Piquero, on her marathon schedule. Stan Stojkovic, PhD is Dean and Professor of Criminal Justice in the Helen Bader School of Social Welfare at the University of Wisconsin-Milwaukee (UWM). He has been a faculty member within the Helen Bader School of Social Welfare for the past 33 years. He received his Ph.D. in social science (with cognate specializations in criminal justice and criminology, public administration, and philosophy) from Michigan State University in 1984.